We help get the “to do” list done! It’s tempting sometimes as a homeowner to tackle a project on your own, but why stress when Century is here to get the job done right the first time and on budget everytime. 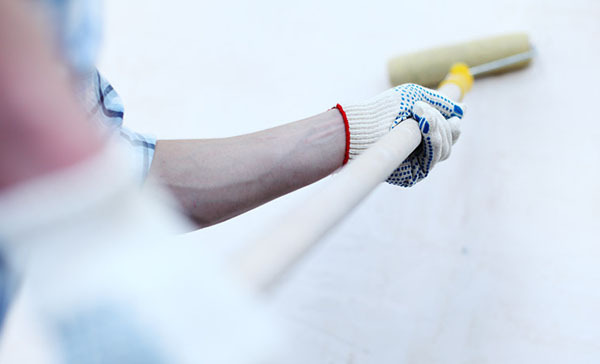 We can help you in the process, as the Best Rated Painting Contractors in Minnesota. We see it all, and can help you narrow down your paint selection to ensure you get the fit and finish you dreamed of. Century Drywall, Painting, and Insulation is a highly customer rated Insulation and wall finishing company located in Minneapolis, Minnesota. We provide exceptional services to all surrounding metro Minnesota areas including Eden Prairie, Lakeville, Minnetonka, Burnsville, and Northern Suburbs Mound, Plymouth, Maple Grove including all surrounding areas. 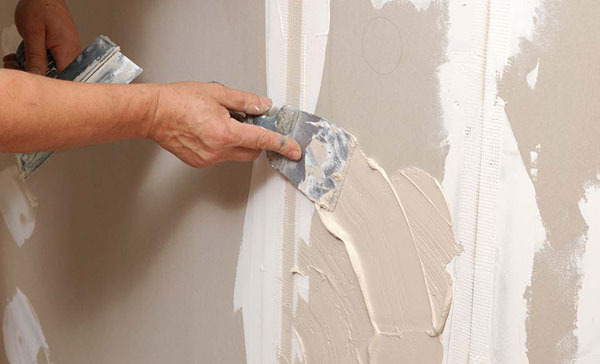 At Century Drywall, we can help you transform the look of your home, or simply make needed repairs. We can turn a damp, musty basement into a gathering place where you’ll be proud to invite friends to enjoy a card game or a football party. Or create an additional bedroom or office from unfinished space. Looking for a local Minnesota painting contractor? Century Drywall & Painting brings its creative design and expert drywall capabilities to clients throughout Minneapolis, St. Paul and the surrounding communities. Century’s offers a full line of professional painting services for both residential and commercial projects. A professional paint job gives your home curb appeal and even personality. At Century Drywall and Painting in Minneapolis, we’ll help choose the right paint for your exterior painting project, and use a premium quality paint that will survive Minnesota elements and last for years. Are your contractors bonded and insured? How long should I wait to apply paint over new stucco? Until recently, you had to wait one to two months for the stucco to cure properly. However, new-generation masonry primers speed up the process considerably. For instance, Loxon Exterior Masonry Primer from Sherwin-Williams can be applied as soon as the stucco is hard, dry and at a pH level of less than 13. After the primer dries, you can follow with latex house paint immediately. Can mildew be permanently prevented? No. Paints can be formulated to inhibit mildew growth, but under some conditions, mildew eventually will reappear on any type of paint. What causes frosting? How can it be avoided? What is the proper way to remedy it? Frosting is a phenomenon caused when latex paint is applied in or is subjected to conditions that are too cold and/or too damp during the initial curing process. 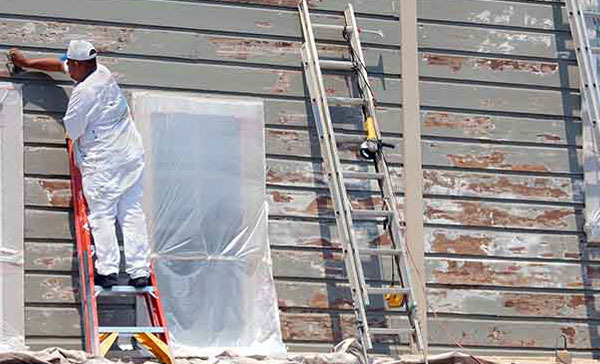 The lower temperatures and/or dampness do not allow the paint to coalesce, or form a proper film, which then exposes ingredients in the paint film to the elements. The ingredients that cause frosting are water-soluble sodium and calcium compounds. These are added to the paint to improve surface wetting, flow and leveling, and tint acceptance. When the paint film does not coalesce properly, these materials can rise to the surface, where they are exposed to moisture, usually combined with cool temperatures. When the moisture evaporates, a white “frosty” deposit is left on the surface. Frosting can usually be removed by flooding the surface with warm water. High-pressure washing is not necessary; just a lot of water to dissolve the material and flush it off the surface. To prevent frosting, always follow the manufacturers’ application recommendations, but especially during the spring and fall when temperatures can drop drastically within the first 24-48 hours of applying paint. Why is it so difficult to keep paint from peeling off of exterior wood decks? The culprit here is moisture. Usually, only the top and ends of the boards used on a deck are painted. This leaves the sides and bottom uncoated and able to absorb moisture from rainfall and the soil under the deck. The moisture, drawn to the surface by the heat of the sun, destroys the adhesive bond between the wood and the paint, causing it to blister and peel. The best way to protect a new deck is to apply a deck sealer/toner or semi-transparent stain. Of the three main paint ingredients – pigments, solvents and binders – the pigment provides hiding power and gives paint its color and shading. The solvents carry the paint to the surface, then evaporate, leaving behind a film of paint; the binders are bonding agents that hold the paint together. With all the talk about VOC emissions from solvents in paint, I'm confused. If latex paint is water-based, how can it contain VOCs? Traditional latex technology requires the use of co-solvents to get the latex particles to melt together (coalesce). These small amounts of solvents, and some additives, make up the VOC content in normal latex paints. New technology has been developed that allows latex paint films to form without co-solvents. These new products perform similar to traditional latex paints, but have minimal VOC levels and less odor. Homes make an ideal growing place for mold. Molds thrive in temperatures between 60° and 100° F, where moisture and an abundant food supply are present. Learn more about preventing mold and the common myths of mold and mildew. Do you paint homes in Eden Prairie? We do! We have had numerous clients in Eden Prairie, Minnesota. We have teams available for almost all Minneapolis suburbs. What's the best way to remove stains on redwood and cedar? First determine the source of moisture that brought the stain to the surface and correct it. Next, remove the stain with a 50/50 solution of water and denatured alcohol. Allow the surface to dry completely, then apply an alkyd primer and topcoat to prevent stains from recurring. Should I caulk the lap joints on my siding? I have heard that uncaulked lap seams allow moisture to escape? I occasionally paint buildings where non-galvanized iron nails were used in siding and have rusted, causing a bleeding on the old paint surface. Will an acrylic latex cover these stains and prevent further bleed-through, or must something be done to these nailheads before applying the acrylic latex topcoat? Is it necessary to prime aluminum or vinyl siding before painting? No, as long as the siding has had a chance to weather a year before painting. You do need to clean the surfaces first with an Extra Strength Cleaner Degreaser. You want to be sure the surfaces are free of chalk and residue. Why does wood fencing darken significantly when left unprotected? Ultra-violet radiation from the sun causes wood to naturally darken. For wood surfaces that have never been coated, or which have been finished with clear varnishes or lightly pigmented stains, this darkening can be unattractive. It depends on the coating, you will need to open the container and observe the coating. After gradually bringing frozen paint up to room temperature (70 degrees F), open the can and stir it. If the paint looks like a fresh, never-been-frozen can of the same product, it should be safe to use. When inspecting a thawed can of paint, be especially wary of lumps, thickening or solid pieces that can’t be broken. If any are present, the paint should not be used. In general, it’s best to prevent such problems by protecting paint – especially water-based latex paints – from freezing temperatures. What is the best type of paint to use on a garage floor? It depends on what kind of finish you want. A clear heavy-duty, high-performance polyurethane will provide a durable, dust-free clear finish if the concrete has a uniform appearance. If the concrete’s finish is not uniform, or if you want a colored finish on the floor, a two-part polyamide epoxy works best. Do not use latex or oil-based floor paint in a garage because they can lift when they come in contact with car or truck tires. For best results, allow the coating to cure at least 10 days before driving a vehicle on it. Why are certain trim colors, such as red, so tough to cover on the second coat? Would it be best to apply some kind of primer and then an acrylic latex topcoat to cover more easily? What other colors are tough to cover? Difficulty in covering a previously painted surface relates not so much to the color of the earlier paint, but to how dark it is. The recoat hiding problem is compounded when a very light color (most noticeably yellow) is applied over a dark one. Multiple coats of paint are often necessary in these cases. Using a primer as a first coat may help, depending on the hiding of the primer and of the topcoat. Using a poor hiding primer may be no better than using two topcoats. Also, using a gray shade of primer will help more than tinting the primer color close to the existing shade.